Enjoy spirits tasting, music, prizes and more! No one is exactly sure when Distillery Row was born. Legend claims it was during a curious period known as “Old Portland.” Nonetheless we’ve always wanted a summer birthday, so we just made it so. 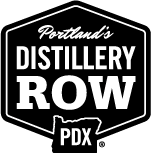 Join us – all eight distilleries – in the parking lot of House Spirits for a late summer Portland extravaganza. Music, food carts, and the best spirits and cocktails Old – or New – Portland has ever seen! Admission is FREE and grants you tastings, good times, and all the selfies you can take. If you crave a cocktail, we’ve got those for sale (trust us, you crave, you crave big-time). Round things out with some nibbles from Koi Fusion and more, and drop the mic on Summer! FREE ADMISSION – RSVP on Facebook!